At SHI Group China, deep knowledge of China market entry, and the ability to filter candidates are the basis of our strength. The first hire is so critical, and the initial team comes via that start. Any failure to deeply enough understand China and the hire will lead to way too much risk. The impact of a key executive hire on an organization’s fortunes can be immense. Equally, the cost of unsuccessful recruiting China can be severe. This is especially true of your first hires. Profitability both plummets and soars on the basis of significant executive changes at top level. So an investment in a professional approach to senior executive recruiting makes for a good investment. This could not be more important than in your first hires in China market entry. The process of executive search China involves methodical analysis, planning and research. To develop a list of candidates who represent the best executive talent for you, we ask a lot. Working with our selected candidates, we pilot your company through the Chinese market. With our experience and our Know-How about the market, you will save detours and achieve your goals more quickly. This is true for China market entry or simply a change of the guard. Our team at SHI Group China can tell clients key facts related to executive recruitment China related issues. We can tell client companies which type of candidate they need and can predict the search challenges. Because we know mentalities, value systems, thought patterns and the real situation of local Chinese and Expatriates in China, we avoid the deeper problems in search assignments. We can evaluate statements and motivations of local Chinese and expatriate candidates. Also, our team can tell our clients how local and expatriate candidates perceive their company in China. Finding talent is never simple, and finding managers to lead and drive operations is an even bigger challenge, especially in China. Furthermore, lacking connections or credibility, further lacking an understanding of local culture and hiring practices, communication challenges, or even lacking a presence to do recruiting can be major inhibitions. China market entry can be even more challenging, considering the country’s very different culture and unique policies. For all your search challenges, SHI Group China is ready to support, and this includes executive search in China. Let us put our expertise to use for your search for leadership. We have knowledge and expertise in the local market. Also, we have network and connections needed to advance the executive recruitment. Our group has the skills, resources, and proven ability to meet your recruiting needs. Count on us to find and bring the leaders to drive your organization in China market entry and beyond. China is an exciting, yet complex market with challenges to go along with all of its great potential. With over a billion citizens and over 750 million internet users, China is a market rich with trade potential. China also has a trained pool of talent for work in any organization. We have the tools to navigate it for you. SHI Group finds executive leadership with the skills, integrity, and communication abilities needed to develop your business. 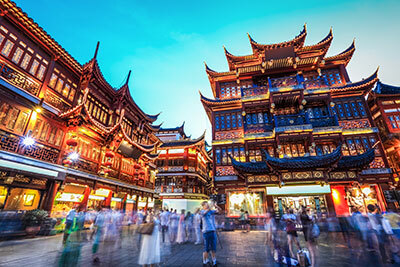 Allow SHI Group China to become your premier executive search team of China headhunters. With in-depth knowledge and experience of local laws and labor markets, SHI Group China understands what it takes to grow businesses here in China. We are able to support our clients throughout the entire process and our targeted searches find only the best talent with an experienced track record of success. Core to the success of the business is an outstanding recruiting team with bright, creative, articulate and committed China recruiters. We see our strength, uniqueness and difference being our passion, teamwork, commitment and culture. Our clients enjoy working with us, and genuinely feel they gain outstanding talent. From initial executive search strategy formulation through to successful appointment, we deliver tangible results for recruiting China. We have outstanding reach to an international talent base when needed. Further, our deep China expertise delivered according to your unique needs improves your comfort and success. Our ability to deliver hard to find and trustworthy candidates explains why clients choose to work with us on a long-term basis. Whether a company is looking to introduce a new Country Manager, replacing a key executive, or bringing in fresh talent for a major transformation program, SHI Group China’s experience, reach and expertise will support them to build an honest and politics-free world-class leadership team. We are able to react quickly to our clients’ requirements. 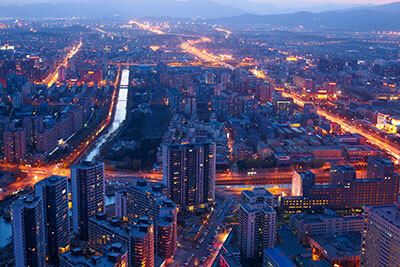 Further, we provide insight into local China market dynamics. This ensures the best and most proficient approach is utilized in order to deliver exceptional results for the business. At SHI Group, we specialize in search, recruiting China, and the deep filtering of the outstanding executives of today. We also envision which senior managers will become the visionary leaders of tomorrow. See further thoughts on Executive Recruitment China.